Precision Extraction Solutions Named Exclusive Equipment Supplier of Canapar S.r.L. DETROIT, Feb. 12, 2019 /CNW/ -- Precision Extraction Solutions ("Precision"), a market leader in cannabis and hemp extraction technology, has been named the exclusive equipment supplier of Canapar S.r.L. 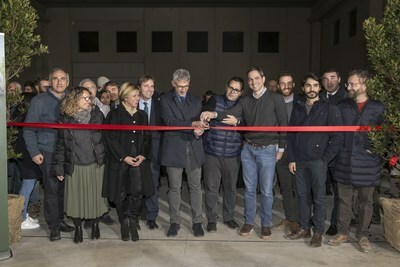 ("Canapar") for the development and outfitting of its flagship extraction facility in Sicily, Italy. On the heels of a $25 million CAD ($20 million USD) round of financing, that included a lead investment by Canopy Rivers Inc (TSXV: RIV), the corporate venture capital platform of Canopy Growth Corporation (TSX: WEED, NYSE: CGC), a global leader in the cannabis sector, Canapar engaged Precision for the design and manufacturing of an industrial scale hemp extraction plant. "The KPD series extraction plant represents the newest and most innovative extraction technology in the marketplace. We are excited to see this revolutionary and automated cGMP solution at Canapar's state-of-the-art facility," states Nick Tennant, CTO of Precision. The Precision® KPD Series is a scalable solution for industrial and agri-processing demands ranging from 2,200 lbs (1,000 kilograms) of cannabis or hemp input material per day to more than 100,000+ lbs per day. 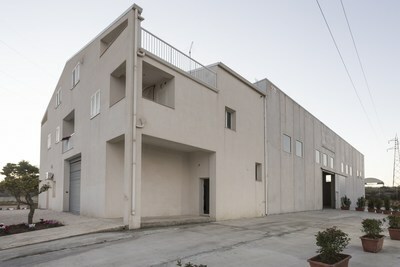 Canapar's Ragusa, Sicily facility, outfitted with a KPD series extraction plant, is expected to produce CBD extracts and isolate, which will then be used for a wide range of health and beauty, cosmetics, pharmaceutical and veterinary products. "We chose Precision as our extraction technology partner because they are the most recognized and innovative extraction equipment company in the world. They are assisting us in all aspects of the project from facility design to equipment and training. With Precision's help, the aim is to optimize the extraction process for the production of the world's finest CBD isolate for the cosmetic and pharmaceutical market," said Sergio Martines, CEO of Canapar. 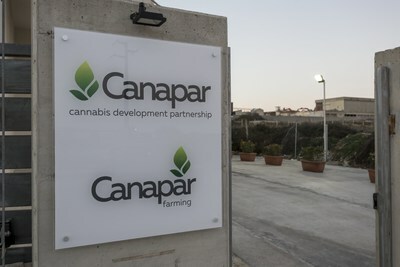 The cGMP-compliant Ragusa facility is initially expected to be able to process over 600 tons of hemp biomass per year, making it the largest extraction facility in the European Union. With Precision's assistance, Canapar is planning on scaling its operation within the next 12-18 months to keep up with projected demand. According to Marc Beginin, CEO of Precision, "We are thrilled to be working with the professionals at Canapar. Canapar is poised to be the leading CBD isolate provider in Europe. 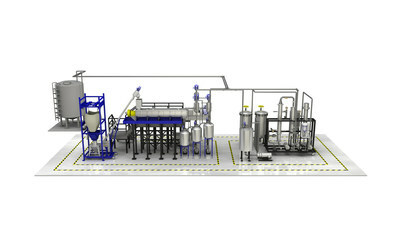 They asked us to produce a scalable extraction plant with speed-to-market top of mind. Our team will be ready to deliver the first phase in Sicily this summer." The market for hemp extraction solutions to produce CBD isolate is growing rapidly. "Indeed, the market is robust," says Beginin, "with the passage of the 2018 Farm Bill in the US, and increased legality of hemp-derived products worldwide, it is estimated that the market for hemp extracts will grow to $22 billion by 2020." Precision® Extraction Solutions is the industry leader and most trusted brand in cannabis and hemp extraction equipment, technology, lab design, training and consulting. Precision® extraction systems are world renowned for quality, safety and precise operation. Certified for use in all regulated US and EU jurisdictions, more award-winning extracts are made with Precision® than any other brand. Precision's multi-solvent extraction systems process 100 to over 100,000+ lbs of material per day, making Precision® the professional's choice for commercial and scaled industrial operations. For more information about Precision® Extraction Solutions visit: https://precisionextraction.com/.